Oil Investing Tax Breaks – Invest in oil and deduct 100% of intangible drilling costs off your taxable income for 2018. Now is the perfect time to reevaluate your investment portfolio to help reduce your overall tax burden. A direct investment in an oil and gas drilling partnership can provide significant tax write-offs while also providing the added benefit of consistent cash flow and return on investment potential. Instead of paying more to Uncle Sam, put more of your money to work instead. Intangible Drilling Costs (IDCs) are drilling expenses related to labor, fuel, chemicals, hauling, etc. IDCs usually represent 70% to 85% of the cost of a well and can be deducted 100% against taxable income in the first year. For example, if you invested $50,000 today in a project that had 85% of its costs in IDCs, you could elect to deduct $42,500 from your taxable income for 2018. 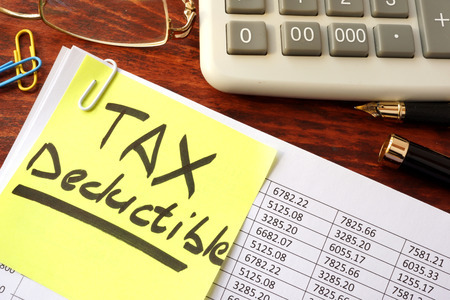 If you are in the top 39.6% federal tax bracket this deduction could save you approximately $14,875 in federal income taxes – please speak with your tax advisor for information specific to your situation. IDC deductions are available in the year the money was invested, even if the well does not start drilling until March 31 of the year following the contribution of capital. Aresco has immediate drilling opportunities for immediate 2018 tax deductions. Oil and gas drilling equipment such as casing, pump jacks, and wellheads are considered Tangible Drilling Costs (TDCs). Continuing with the example above, the remaining $7,500 (15% of the cost of the well) would be classified as TDCs. Intangible Completion Costs are generally related to non-salvageable goods and services, such as labor, completion materials, completion rig time, fluids etc. ICCs usually amount to about 15% of the total well cost and provide a great tax benefit. While services and materials used during the drilling process offer no salvage value, equipment used in the completion and production of a well is generally salvageable. Items such as these are usually depreciated over a seven-year period, utilizing the Modified Accelerated Cost Recovery system or MACRS. Equipment in this category includes casing, tanks, wellhead and tree, pumping units, etc. Equipment and tangible completion expenses generally account for 25% to 40% of the total well cost. Once an oil or gas well is in production, the working interest owners in the well are allowed to shelter some of the gross income derived from the sale of the oil and/or gas through a depletion deduction. Two types of depletion are available, cost and statutory (also referred to as percentage depletion). Cost depletion is calculated on the relationship between current production as a percentage of total recoverable reserves. Statutory or percentage depletion is subject to several qualifications and limitations. This deduction will generally shelter 15% of the well’s annual production from income tax. Lease Operating Expenses cover the day-to-day costs involved with the operation of a well. The expense also covers the costs of re-entry or re-work of an existing producing well. Lastly, the tax benefits from oil and natural gas production have historically triggered potential taxation under the Alternative Minimum Tax (AMT). However, Congress provided some tax relief in the early 1990’s for “independent producers”. An independent producer was defined as an individual or company with production of 1,000 barrels per day or less. 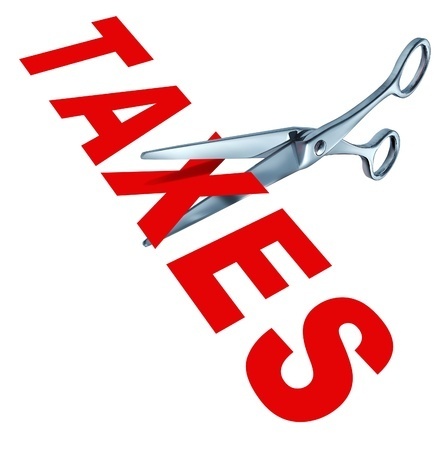 Although there is still the potential for AMT taxation for excess IDCs, percentage or statutory depletion is no longer considered a preference item. The above general discussion is provided for background information only. This information is not intended to be individual advice. Prospective participants should consult with their personal tax professional regarding the applicability and effect of any and all benefits for their own personal tax situation. In addition, tax laws change from time to time and there is no guarantee regarding the interpretation of any tax laws. For more information, please visit www.irs.gov. Contact us today for more information on how drilling investments may help reduce your overall tax burden. SorryYou must be an accredited investor to receive this information.